Matt Bertasso directs Compass Academy, a magnet school that is part of Idaho Falls School District 91 and a member of New Tech Network. Matt started his teaching career in Indiana and moved to Idaho to lead this innovative school with an integrated approach to project-based learning. Why does integrated PBL matter? It is obvious by looking at social media that we are becoming more and more individualized. We are more concerned with our self (and selfies) our number of likes and reposting. We start to miss that there are 7+ billion people on the Earth and that it might be possible that we can learn from others. Now we blame this on technology and cell phones and social media. But really, schools have been instilling this in our minds for a long time. We teach that my classroom, my content, my class is most important. We separate learning, we tell students to work alone, sit at your desk, don’t talk, don’t share. But what if we created education where others do matter? What if we taught that it just might be possible that we could learn from someone in another town, state, country, continent. I enjoy traveling and I love watching others come back from travels. They come back with a totally different perspective. Students need to see that there is more than just what is in their own local surroundings. Personalized learning is what should be called teaching. In this day and age we are fortunate to have the technology and tools to allow teachers to more fully meet the individual needs of students. Personalized learning is how we need to design schools. If we design schools with personalized learning as a fundamental purpose students have specific needs that are met. This is an underlying reason for the New Tech school model. The idea of students working in groups and fulfilling a role that maps to their strengths. Projects that provide voice and choice for students to explain their understanding as they learn and grow throughout the project. Personalized learning is what we should be doing (and should have been doing) in education. #MoreThanAStigma (More Than a Stigma) has been our best project for providing student personalized learning with a strong community connection. This project brings awareness to mental health issues. Through the project, students take note of their own mental health and learn what many of their friends are experiencing. They create interactive displays and presentations to help community members feel and understand the effects of mental illness. In the two years that we have run this project, students have raised over $3000 for the local behavioral crisis center. Recently, a regional organization asked our students to participate in this year’s annual mental health convention and to run the entire convention next year. We will realign our master schedule to allow for this project to run in conjunction with the convention. How did you come to New Tech Network? I received my first New Tech Network tour in 2009 at Rochester High School, led by Theresa Shafer. 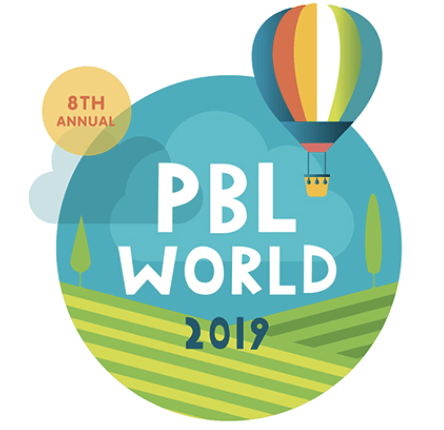 I was sold, not on the computer, not on PBL but on learning. For the first time I saw real learning happening. Students were diving into their learning in ways I had rarely seen before. While that was interesting and exciting when I saw it again at The Academy of Science & Entrepreneurship, in Bloomington Indiana, and again at Decatur Central in Indianapolis, and again at Triton Central High, then I knew this was something to investigate. After implementing at Oregon-Davis I saw the potential that this model really had. I was trained as a trainer. I was a technology director, but really I was a coach. I taught teachers Echo. I taught them to teach in a 1:1 environment. I taught them PBL. One of the best parts of my job was project design. We implemented first with 9th and 10th grade, but the change to the entire school was invigorating. The culture changed. The work changed. We changed. Having done my undergrad work in Idaho and having just finished my grad work for my administrative license, it made sense for me to apply for the Director position of a New Tech high school opening in Idaho Falls. I came to Idaho with experience and as one of the first in the network to have opened two schools. Compass Academy hit the ground running thanks to my prior experience. One of the best parts of the NTN model is that it allows for innovation within the model. Many of the schools look very different. Compass Academy has gone through a lot of change over the years. We like to say that we have a culture of change and a recent culture survey from OHI indicated exactly that. Our staff rank in the highest percentiles in adaptability, in other words they recognize and accept change well. In 2016 we launched what we call Compass 2.0. There were so many changes to the master schedule structure, class integrations and how things work. We see our school a lot like software development. We should improve constantly and adjust to meet the knowledge that we attain, the information that we have, and the progress of students. Purposeful and incremental change can happen all the time for continuous improvement rather than the single major transformation happening once a decade (or longer). See the two course diagram illustrations below: The first is a way to think about master schedule and which classes to combine. The second one is a really dense but fascinating way to map concepts across courses. Does Your Teaching Have the Four Categories of High-Quality PBL?